At StableStrides we are excited to announce our first annual Red, White, & Blue Celebration. 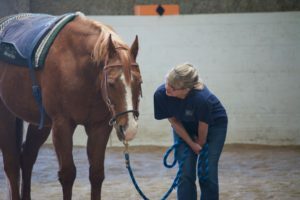 This free-to-attend event highlights and raises funds to support area service members and veterans on their healing journeys with horses. The event will include a catered lunch, a keynote speaker, and the opportunity to change the life of a local service member or veteran. You can see the electronic save the date here.REGISTRATION IS CLOSED. Please call 719-495-3908 to inquire about additional space.